Going to Gemba I think allows the opportunity not only to see for your own eyes, but also to connect with those on the floor performing a job. More than a tool, I believe is a State of Mind. I have a great story to illustrate my point. 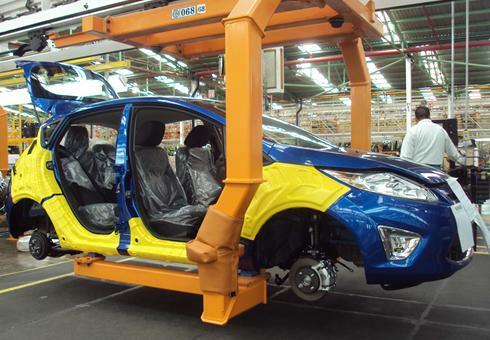 It was during my years at Ford, one manager used to force the engineers to spend one day on the line, to experience what the workers live everyday. I remember that I was on the line that day, installing headliners. Felt the heat, the troubles with the electric harness, the physical pain after a couple of hours, and the feedback from the team leader, as some headliners I installed, were incorrectly installed, and I didn't even notice. I also delayed the line as complexity for the high content cars was too much. That experience not only gives credibility, but also knowledge. There´s no better way to have an engineer validating his own work, than challenging himself, and performing under the standards, tools and conditions he created. Of course wasn't easy, as the risk of having too much defects, lines stoppages and problems, caused by unexperienced engineers performing assembly tasks, was high. But that's one of the best experiences I have experienced. Of course, it is a little bit different from a Gemba walk, where observing for improvement is the main idea. Anyway, the intention isn't discuss wether this example is really a Gemba walk or not, but to connect that idea to the following situation. 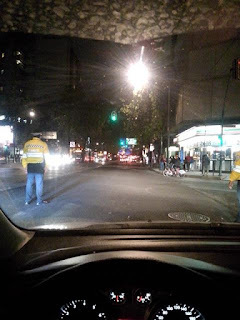 If you ever visited Mexico City would understand that driving here is a real challenge. As streets are poorly designed, drivers are careless and rude and basically, law isn't really respected. A few months ago, I posted this picture on twitter, stating it was a waste, having a green light with a police officer there controlling the traffic. I recall this and bring the Gemba concept to the table, cause recently a morning show had a story on the people who controls the red lights in Mexico City. As my wife knows well, I think that the person who controls the traffic lights in Mexico has no idea what he´s doing, Why? Because, most streets do not have synchronized traffic lights, and of course, there are some crossings where traffic lights actually create chaos and that´s one of the reasons why a cop needs to be placed in front of the traffic to control the ruthless drivers in the city. I remember that the story that appeared on T.V. showed a bunch of people looking at TV screens and adjusting as needed. As if they were Sauron looking through the eye, watching over the middle earth. Remember thinking that those guys must have never gone out to validate if the work they do through tv screens, actually works in real life. Through my brief career , I have seen many people who really hates going to Gemba. Which is really sad, because going to Gemba not only allows you to validate your work. But really gives you the opportunity to learn something, to connect with the people and to grow as a person first, and second, as a professional. Gemma gives you the opportunity to learn, to connect, to grow as a person first and then as a professional.